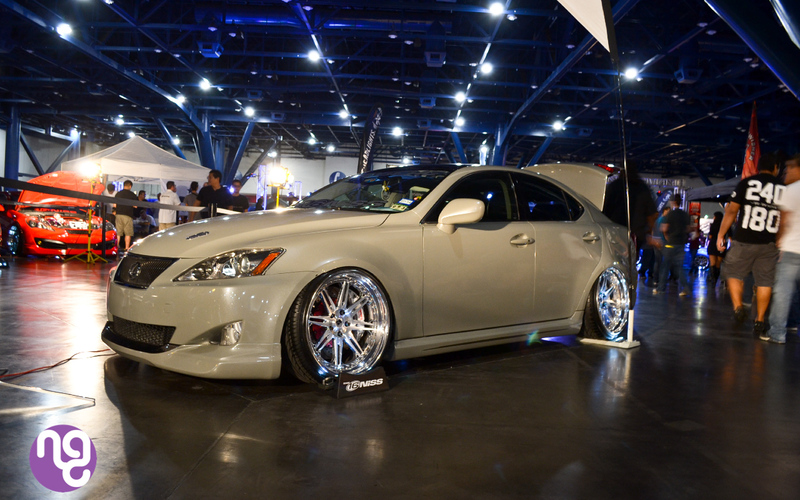 Once again HIN (Hot Import Nights) was held in Houston again in the George Brown Convention Center. These car shows always have a club type of meet or like the kind of meet you see in the Fast and the Furious movie. There were go go dancers, models posing and signing autographs, dub step music along with nice quality cars. Unfortunalty I couldn’t upload any more photos on the blog sooo I made a flicker account. Click on the link for more pictures!! 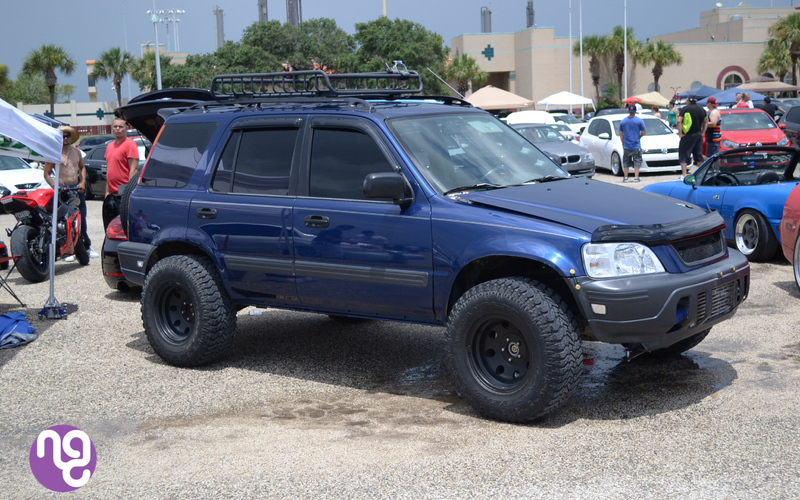 So Cupcake Meet 17 was held in Corpus Christi which was a 4hr drive from Houston. I literally came home from work after 12hr nightshift in the ER. I wasn’t planning on going originally, but since the rest of the Natsukashi garage family is going, I decided Im going too. 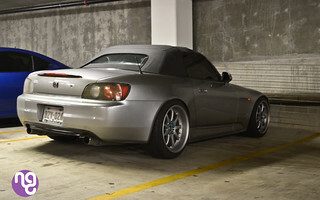 I took the Miata instead of the GTI, but during the drive I wish I took the GTI since it has hot, humid and raining. Having no AC in the Miata made me feel miserable. I pulled over couple of times to take breaks and catch little power naps. When I arrived the rest of the team was there and I was glad I made it after very little sleep. It just rained when I arrived, but the weather didn’t become cooler, instead it was hot, humid, and sticky. Thank you Texas heat. But that didn’t stop me from taking pics. Would love to have this as my next car. Lifted and boosted too. 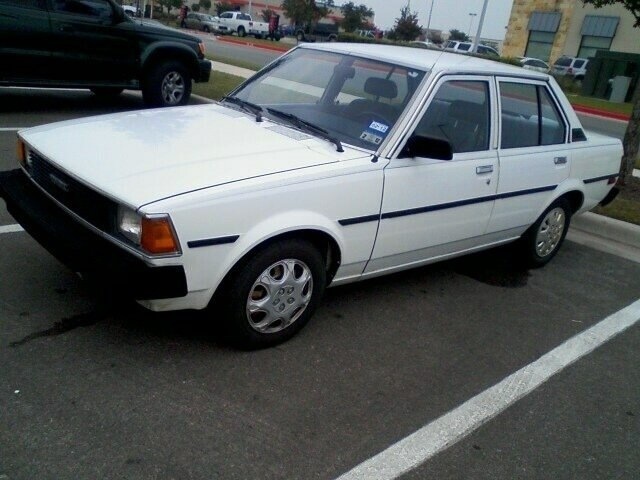 So one car i’ve been keeping kind of on the DL over the last few years is my 1983 Toyota Corolla. I purchased it a few years ago and drove it only for a few months until I overheated and seized the motor. This is how it sat May 20, 2011. 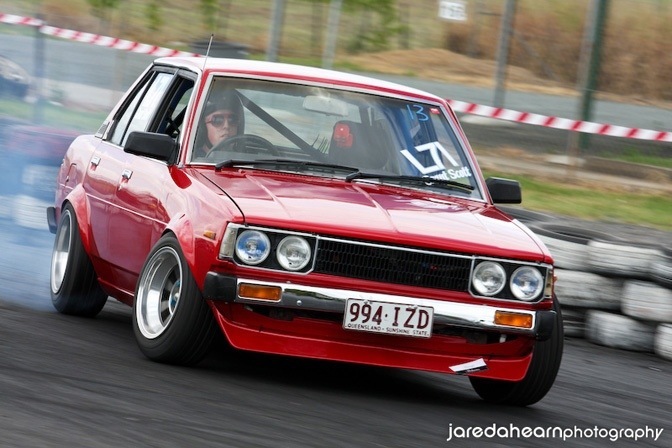 I’d seen a handful of the *e7 corollas out there pop up on the 86 forums, but never really looked in depth at them. I was so confused. Was it a te72? A ke70? An ae71? From my research i learned that the letter before the e7_ corresponded with the engine. So te72 had a 2tc. A ke70 had a 3kc motor. And the ae71’s came woth 4ac motors. The great thing I learned about ae71’s was that they are essentially 4 door sr5 ae86’s. The whole e7 generation corolla family have a lot of similarities to ae86’s, but the 83 model ae71’s were most similar. Since they came with 4ac’s it would be really easy to do a gts swap and fit a 4age in. So i started looking at other peoples builds and came across a few I really liked.